You're here to make money - So let's make it happen. Are you overwhelmed with information? Are you a broke student trying to pay your bills? but don't even have a part-time job? 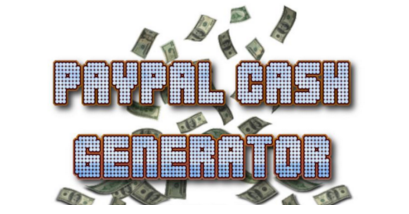 PayPal Cash Generator has been made to help you generate a stable income daily, weekly, monthly and annually. Let's be real - You have tried all kinds of methods that haven't made you a cent. You have come across many ways to make money online that never work and you want to try something that works. SOMETHING THAT WORKS - is right infront of you. So don't miss out on this chance. For a limited time, you can obtain access to this ridiculously simple yet ingenious way I have used to bank up to $500 per week. In just 3 simple steps I will show you how you can transform your PayPal account into a CASH-MAKING MACHINE. So seriously, what are you waiting for? You know you wont get such a good deal ever again. BUY TODAY FOR ONLY $4.50! !